Chicken Parm sandwiches by day, fantastic dinners by night. While my office is too far way for me to come and give Torrisi Italian Specialities famous Chicken Parm sandwich a try, I was able to snag a reservation for their prix fixe 7-course dinner. To give you a little history, Torrisi did not used to take reservations. 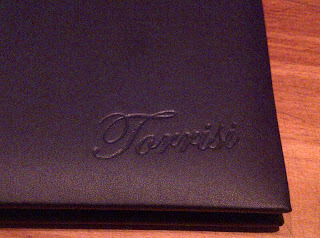 If you hoped to dine at Torrisi for dinner, you would go on the day of your choosing at around 5pm and put your name down on a list. The Maitre d' would then give you an an estimated time to return if you were able to snag a spot for that evening. 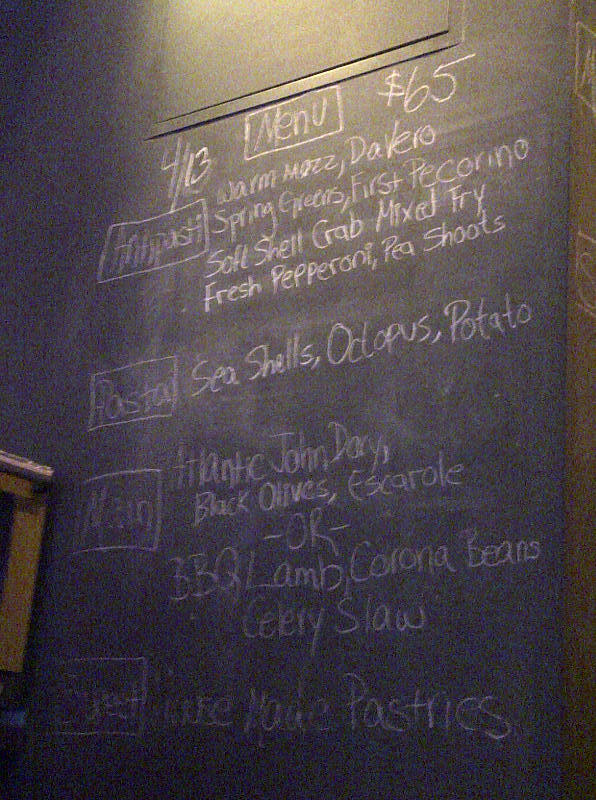 Now, they take reservations up to one month in advance either via their website (http://www.torrisinyc.com/reservations) or over the phone - take note, these spots fly fast! Sadly, I didn't know this until I showed up at their door at 5pm one day in February and was told the next available dinner slot was in March. Super sad. Well...fast forward one and a half months and I'm back WITH a reservation this time! I've made it inside! Yay! Our seats at the bar offered a view of the chef's at work! 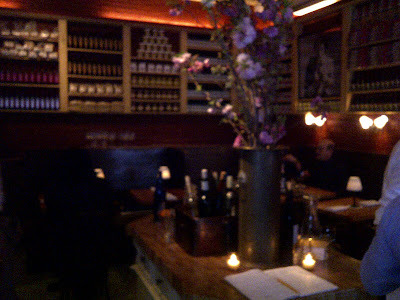 With only a few tables, its no surprise that this Little Owl-esque space is booked up night after night. 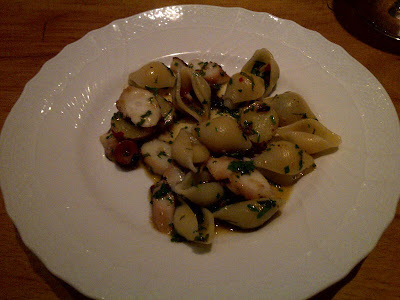 As I touched upon above, Torrisi offers only two choices for dinner - a 7-course prix fixe menu for $65 or a 20-course tasting menu for $125 (first offered in Dec 2011). 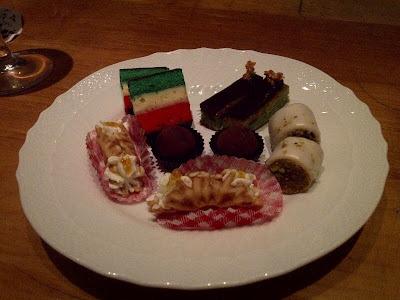 I was interested in their classic 7-course meal which comes with an assortment of four antipasti to share, a pasta, an entree choice (fish or meat option), and cookie plate. I believe the one staple every diner gets is the famous fresh mozzarella. 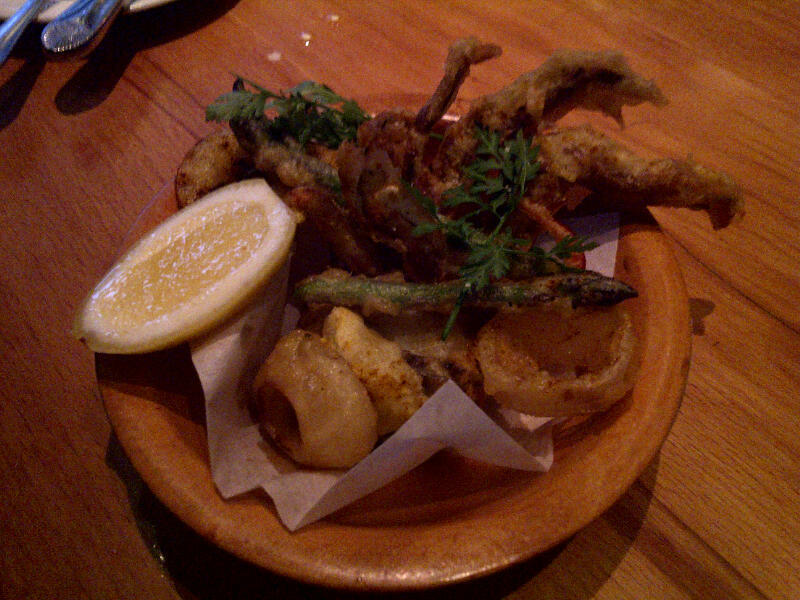 This was the first of the antipasti's to arrive at the table and it was phenomenal. 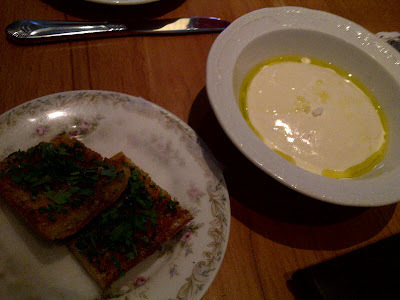 WOW I can't believe how good it was - the mozzarella was still warm and so soft/pillowy! It was served with delicious bread and topped with just a touch of olive oil. Unbelievable! 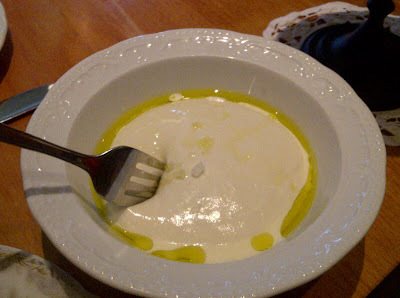 Fresh mozzarella - so soft and pillowy! 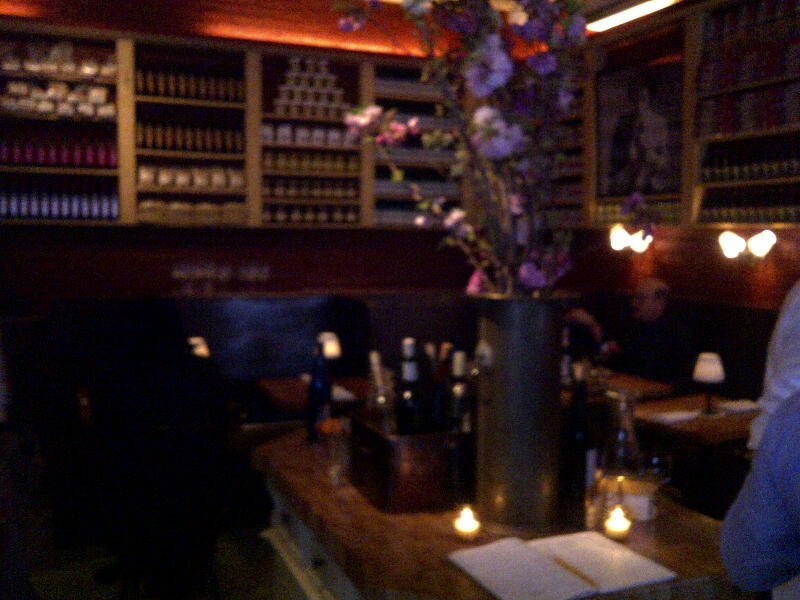 The three antipasti's above were tasty and quickly cleared by my dining compadre and me. 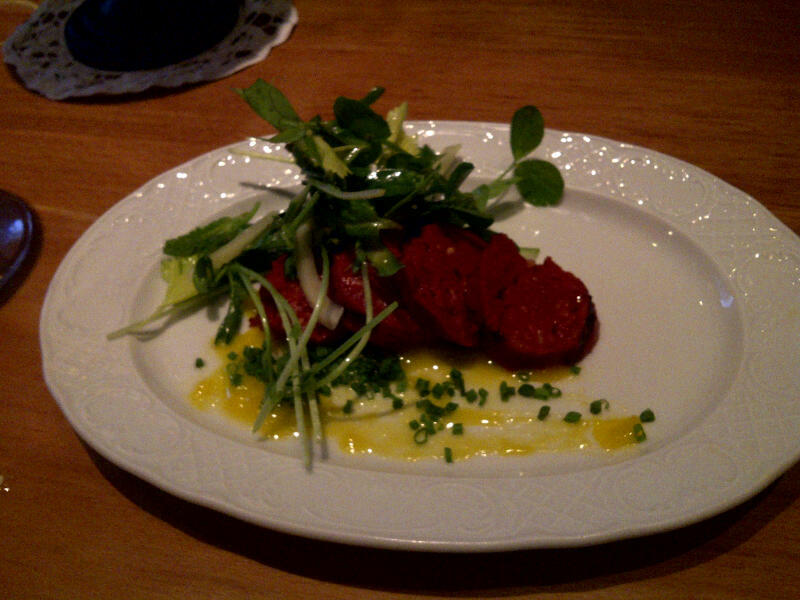 Every dish was distinct and extremely fresh. In regards to the main entree, this is the only place where you will make a decision all night. 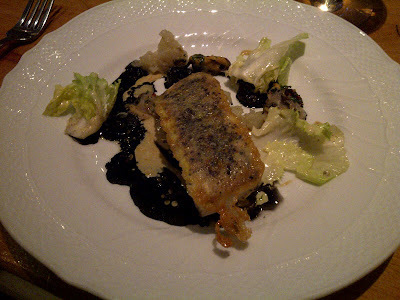 The choices for our meal were either BBQ lamb or a John Dory fish poached with black olives. Now, if you are a fussy eater (like me) then this may be an issue for you. I don't eat lamb and really detest olives. Torrisi doesn't do substitutions (nor fish entree served with no olives - they politely said that would ruin the dish), so I went with the fish. While I was pleasantly surprised that the olive taste wasn't overwhelming, I was disappointed in this dish. The fish was overcooked and slightly dry. 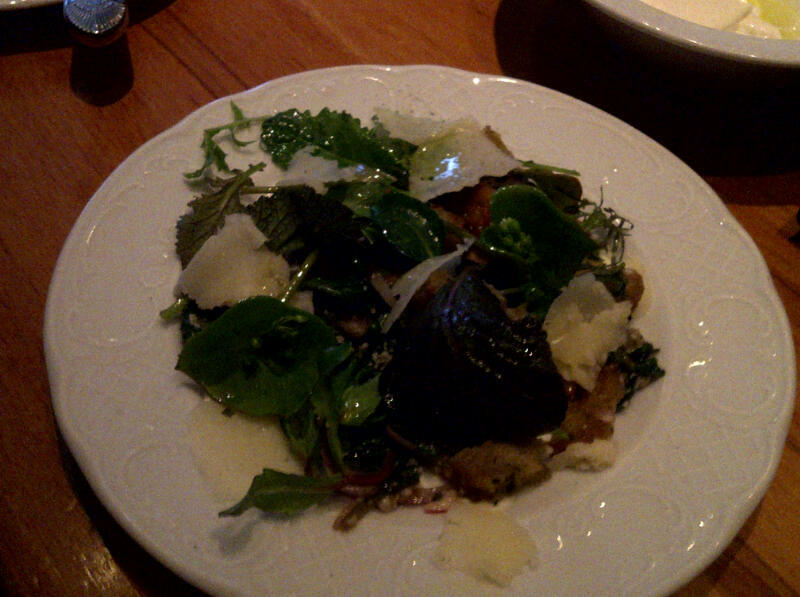 But lets be honest - this didn't stop me from finishing the whole thing, garnish included. 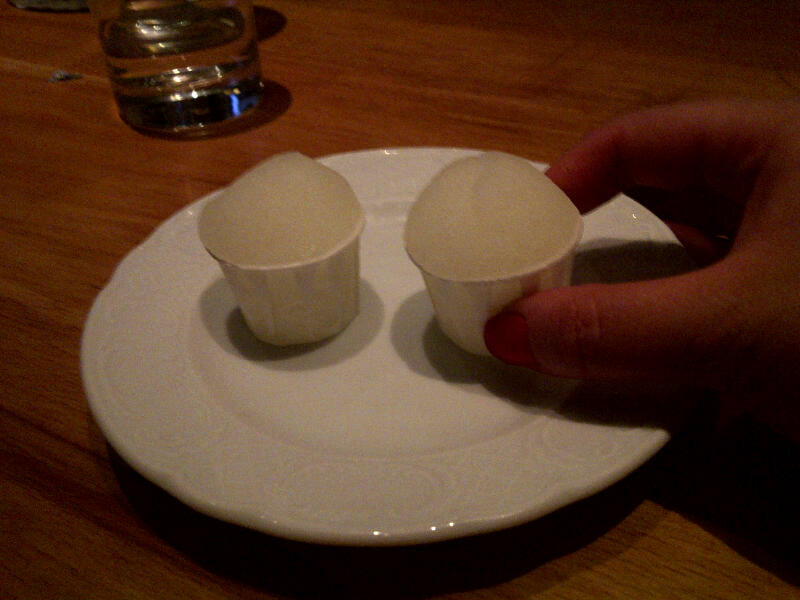 After our entrees, we were surprised with palate cleansers in the form of miniature lemon italian ices! These were fantastic and refreshing! And for dessert, we were served the in-house made cookie and pastry plate below. My favorites were the miniature cannolis (creamy but not overly sweet and the shell was similar to waffle cone!) and the chocolate mint truffle thingers in the middle. Overall, I had a great dinner at Torrisi. 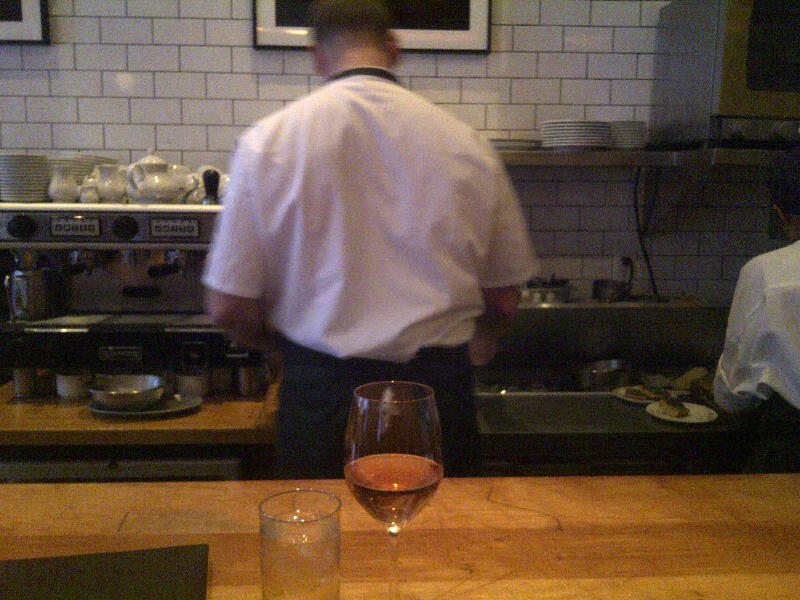 Each dish went back to the kitchen all cleared and polished by my belly. Although I won't be able to tell you what you'll have for dinner should you go, the amazing mozzarella should be enough of a temptation for you to consider dinner at Torrisi. Heck, I can't wait to go back again myself. You should definitely give it a go!